120 Year 12 students (aged 16-17) from 13 different schools took part in the full-day event on 27 June 2014, which had a special focus on encouraging the development of mathematical thinking. 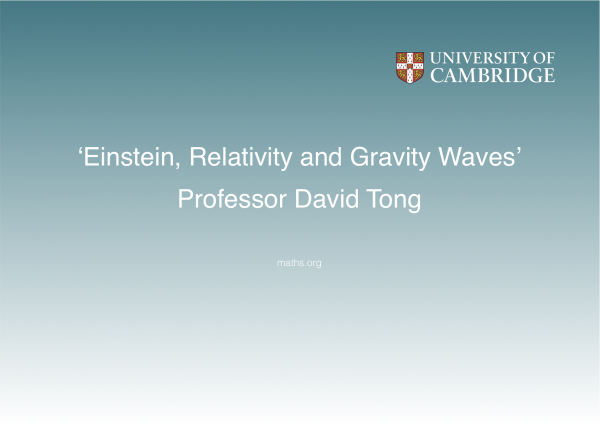 The enrichment day programme included two plenary talks, by Professor Imre Leader and Professor David Tong. In addition, each student took part in two different small-group mathematical workshops over the course of the day. 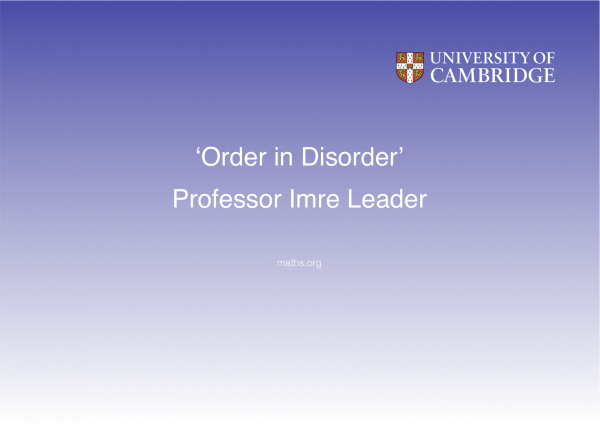 The workshops were run by members of the NRICH and Cambridge Mathematics Education Project team, and explored mathematical topics including number theory, game theory, geometry and proof through paper folding. Feedback from the audience was enormously positive: students described the lectures as 'amazing', 'extremely engaging' and 'captivating', while the teachers' comments included "Excellent ['Order in Disorder'] lecture introducing students to the idea of 'stepping stone' proofs" and "Fantastic lecture [on Einstein and Relativity] :-)". To watch the talks, click on the links below. "I want to tell you about Albert Einstein, and about his theory of relativity - what it is, why he was thinking about it and also about some of the very latest developments that have happened just this year." Details of future events for schools are added to our Events page throughout the year, and follow us on Twitter for alerts too. Teachers can also register for the free NRICH monthly email newsletter for news about forthcoming school events as well as updates on new NRICH site resources and CPD opportunities.